ELC for Kids Coding and Robotics Program is waiting for its new participants! ELC for Kids Coding and Robotics Program registrations have started! 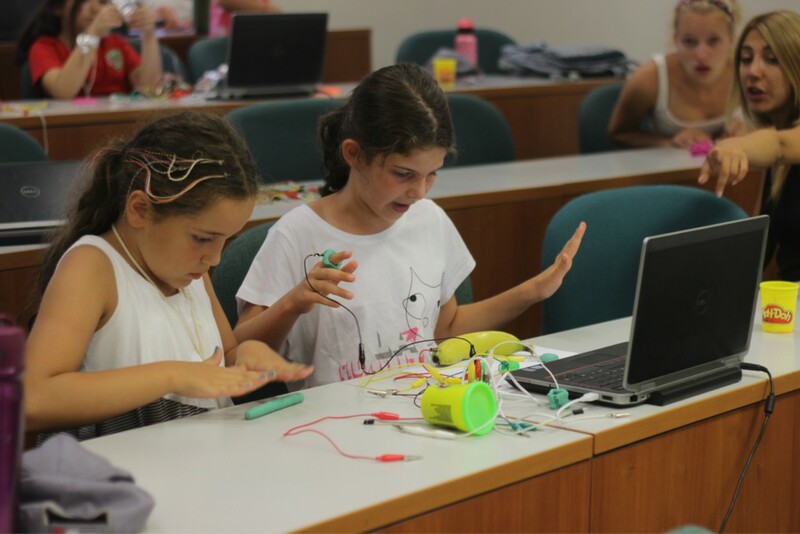 The ELC for Kids Coding and Robotics Program will have participants from age 4 to 10 years of age and the program will take place between 09:00 and 16:00 every Saturday for a total of eight weeks. During the program, which will consist of many subjects such as software, robot coding, 3D design and printing, and electronic sensor usage, the participants also will be designing their own games and will be playing with these games together. In the time of their lives when their perceptions are the most open and sharp, and they can develop their skills most quickly, even if they are illiterate, all our participants will have a strong foundation of coding and robotics with the programs used in our Coding and Robotics Program as an addition to the knowledge they gain from this experience. At the end of the first day of our program, which will take place every Saturday for eight weeks, our participants will be introduced to the basic concepts of coding and learn what methods and what systematic progress they will be able to make in the following weeks during the program. Starting with the second day of the program, our participants will be moving their robots around with the help of the programs used during lessons and by the end of the first month the participants will be able to codify their own games by coding programs they use in the classroom. The main goal of the ELC for Kids Coding and Robotics Program is to provide basic information and knowledge that will help our participants to develop simple coding applications by showing them how much of an everyday life coding and robotics related subjects has become and how much fun they can have practicing those skills. As ELC for Kids Coding and Robotics Program, we aim to give our participants a strong coding base and give them the chance to improve themselves. Since it is extremely important that your children do not stay away from coding concepts in today’s world, logic and techniques of the future, we will show our participants how we can benefit from the blessings of technology without being the prisoner of technology. Attandance to every day of the 8-week long program is mandatory in order to successfully complete the program. Our quota for Coding and Robotics Program is limited with 30 participants. Our participants will follow their respective schedules with their team members throughout the program that will be held on every Saturday for 8 weeks. For every term, the age distribution among the groups will be arranged in such a way that participants from 4-5 and 6-10 years of age will participate in workshops together as pre-school and school age children. Participants are expexted to come after having their breakfast in the morning. After the first activity, there will be a snack at 09:30, lunch will be served at 12:25 and a second snack for the day will be given at 15:50, before our participants leave the campus. We do our best to create a healthy and balanced menu that is prepared by the facilities in Koç University Rumelifeneri Campus for our participants. ELC for Kids participants have Accidental Health Insurance by Allianz Sigorta for their time at Koç University. This type of insurance covers injuries and situations as cuts and wounds. For situations as stomach ache, nausea, headache and so on the Accidental Health Insurance cannot be used. After a visit to Koç University Health Center, we share the opinions of our doctors and help parents coordinate their own choice of treatment with their own health insurance. Koç University English Language Center (ELC) for Kids Summer and Winter Programs aim to develop English speaking and listening skills of participnats between the ages of 4- 13 through various activities led by native English speaking mentors.